Congrats to my Goodreads Giveaway winner!! Your signed copy of Bitten, book one of The Vampires of Linbridge Series, has been sent out in the mail. Happy Reading!! Congrats to my Goodreads Giveaway winner!! Your signed copy of Barely Alive, book one in the Story of Alexis Rose Series, has been sent out in the mail. Happy Reading!! 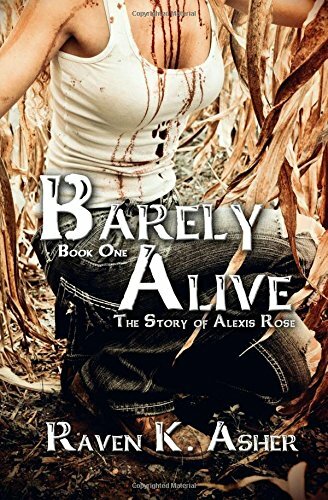 One (1) signed paperback copy of Barely Alive, book one in The Story of Alexis Rose series will be given away through a Goodreads Giveaway. The start date to enter for your chance to win is October 10th, 2016 and the end date of the giveaway will be October 24th, 2016. Good Luck! 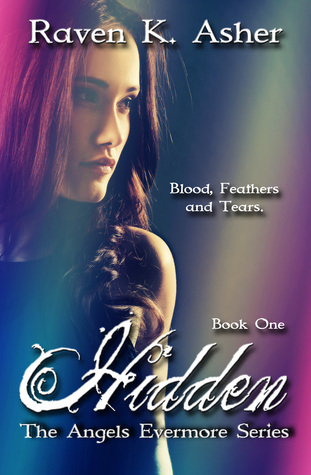 Goodreads Giveaway for Hidden (The Angels Evermore Series) Book One!! One (1) signed paperback copy of When Tomorrow Never Comes will be given away through a Goodreads Giveaway. The start date to enter for your chance to win is June 10th, 2016 and the end date of the giveaway will be June 17th, 2016. Good Luck! Piper is an unusual human, well at least that’s what she thinks. She has wings, solid black wings, and the ability to fly. For years, her mother and sister have been hiding her secret going to great lengths and making sacrifices in order to keep Piper safe. Moving from one town to the next, Piper dreams of just having a normal life, for her mother and sister not to have to live in fear everywhere they went and to not have to make sacrifices just for her. She knows a normal life for her isn’t possible though. But it could be normal for her family if she left when she turned eighteen. What her life does become a week before she turns eighteen is nothing like what she had ever expected. The father she never met appears. Her wings change, and suddenly her whole life changes. And she finds out that she is more than just unique. She is a legend, a one of a kind. She can bring harmony to the world, or she can destroy it. As her life spins out of her control, and everything becomes a choice between light and dark, only one special angel can help her. She has to learn quickly who to trust and who to fear. Because most want to use her, and others want her dead. But one just wants to love her. Giveaway ends July 15, 2016.